Parliament is Right: Independent aspartame studies prove it's not safe. The European Food Safety Authority was asked by members of Parliament to review aspartame once more. They couldn't understand why EFSA said it is safe when new published studies show it is deadly and confirm the enormous inventory of medical and scientific research that has accumulated for 30 years. When Dr. Ralph Walton looked at EFSA's decision so far he said: "It is outrageous, yet also sadly predictable, that EFSA would again conclude that aspartame is "safe for the general population." There are now literally hundreds of studies on each side of this controversy. As I first pointed out to Mike Wallace in the 60 Minutes segment on aspartame aired in 1996, virtually all of the studies attesting to aspartame's safety were directly or indirectly funded by the industry, whereas essentially all independent studies identified one or more significant problems. This pattern has continued to hold to the present day. EFSA's clear bias in favor of industry sponsored research warrants independent investigation." A Denmark Study with 60 thousand women revealed that aspartame could jump preterm births up to 78%. The world famous Dr. Morando Soffritti with Ramazzini Institute in Bolonga, Italy published three award winning multi-year studies with thousands of rats, which conclusively showed aspartame is a multipotential carcinogen, even in minute doses. It causes kidney, breast and lung cancers as well as lymphoma and leukemia. How can EFSA declare it safe for human consumption? I asked the question! I was ignored. Over 30 years ago the original studies showed cancer. FDA toxicologist, Dr. Adrian Gross, told Congress there was no safe dose. On August 1, 1985, Dr. Gross announced that a Searle study established beyond any reasonable doubt that aspartame is capable of inducing brain tumors in experimental animals and that this predisposition of it is of extremely high significance....” In view of these indications that the cancer causing potential of aspartame is a matter that had been established way beyond any reasonable doubt, one can ask: What is the reason for the apparent refusal by the FDA to invoke for this food additive the so-called Delaney Amendment to the Food, Drug and Cosmetic Act?" This time EFSA claims it has done a comprehensive study showing safety. EFSA simply recited industry “studies” defending aspartame, then ignored all peer reviewed independent studies proving toxicity. The American FDA considered Searle’s “studies” fraudulent and asked the Justice Department to prosecute them for fraud. Searle excised brain tumors from rats and put them back in the “studies” and when they died resurrected them on paper. Further they filtered out everything they didn't want the FDA to see. Searle’s lawyers hired the prosecutors and the case died. Any industry “study” must be suspect. Only serious work by independent scientists unpaid by industry checkbooks should be considered. These continue to prove aspartame is poisoning the world. Thousands of case histories have been documented by physicians and scientists of impeccable reputation who plead for impartial hearing of this crucial evidence. Dutch MEP Karika Tamara Liotard filed a set of parliamentary questions to the European Commission after she noted a high level of absenteeism among the study’s experts. It has happened before. The longer this vital testimony is ignored, the more unwarned people and especially their children will succumb to the 92 pathogenic reactions FDA once published on a list from over 10,000 consumer complaints. It’s a matter of Life or Death, and the money wants death! Medical texts such as "Aspartame Disease: An Ignored Epidemic" by H. J. Roberts, M.D. and "Excitotoxins: The Taste That Kills" by neurosurgeon Russell Blaylock, M.D. list more reactions and disease precipitated by aspartame. 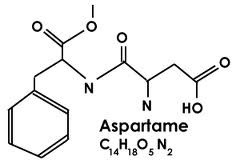 In a lecture, Dr. Blaylock said: "The reactions to aspartame are not allergic but toxic like arsenic and cyanide". Why doesn't EFSA takes these studies into consideration? More and more studies on aspartame that are independent will continue as in the past again proving aspartame is a killer. Dr. Maria Alemany told me in Barcelona that aspartame will kill 200 million people. Isn't 40 years of studies proving aspartame toxicity enough? He explains that the FDA made a deal with the manufacturers never to allow the public to see the aspartame birth defect studies several of which we have now. They explain the epidemic of a autism. Neural tube defects and autism are both caused by methanol's effect on different brains during different gestational times of pregnancy! Timing is a critical component of teratogenicity. This page contains a single entry by sal published on January 23, 2013 10:36 AM. Flu Epidemic Strikes Millions of Americans Already Vaccinated Against the Flu was the previous entry in this blog. Insight: Evidence grows for narcolepsy link to GSK swine flu shot is the next entry in this blog.